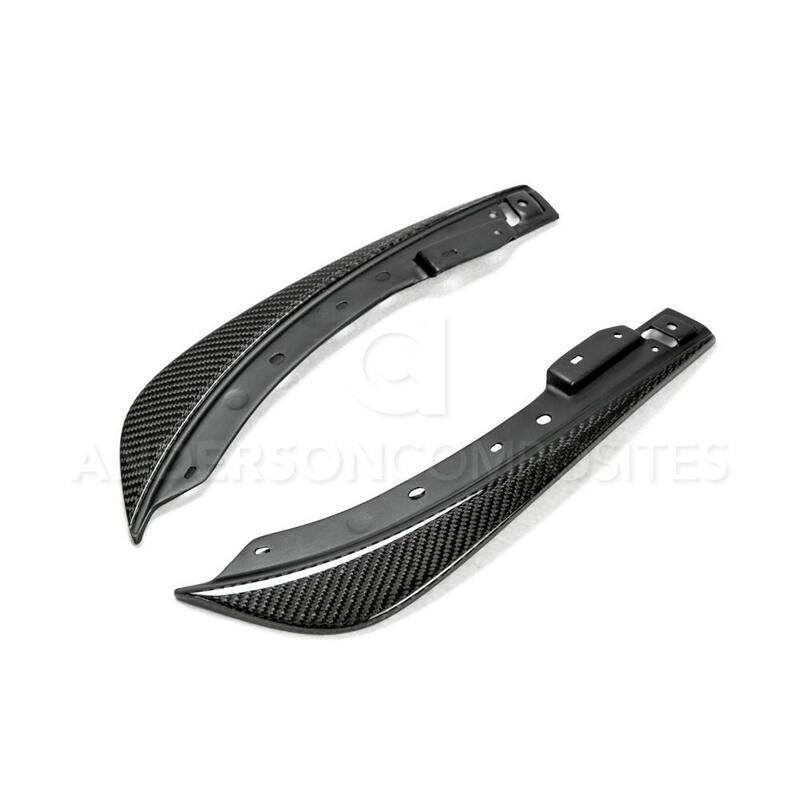 Anderson Carbon Fiber Pair Front Bumper Canards 08-18 Challenger Anderson Composites Carbon Fiber Pair Front Canards 08-14 Dodge Challenger, Anderson Composites AC-FBC0910DGCH-OE Front Bumper Canards, Dodge Challenger Carbon Fiber Front Bumper Canards, Dodge Challenger Front Canards,Dodge Challenger Carbon Fiber Canard [Anderson AC-FBC0910DGCH-OE] - $199.95 : 3rd Strike Performance, Your Source for Late Model MOPAR Performance Parts and Accessories! Anyone could lay a cloth of fiberglass or carbon fiber, but not everyone has the experience and ability to manipulate the cloth or use the right amount of material in such a way as to work with intricate shapes and sizes. This type of production process is extremely difficult to reproduce. Anderson Composites takes pride in having the ability to take something raw such as fiberglass and carbon material and turn into a product that is lightweight, functional, and looks good. Note: Sanded, primed or altered parts are non-returnable. AVAILABILITY: Ships direct from the manufacturer: Usually delivered in 4-6 Weeks, depending on shipping location. Upon receiving the item please be sure to inspect the item for "freight damage". If there are signs of freight damage you must refuse the item, then contact us immediately.